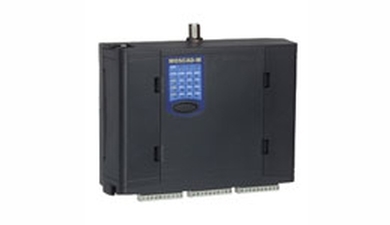 The MOSCAD-M RTU optimally combines the most important functions of an RTU and a Programmable Logic Controller in one unit. Low power consumption is achieved by application oriented power management which provides power for a selected time only to the circuits and elements necessary. The RTU is switched to sleep mode when all circuits are idle and awakens when predefined events occur. Its compact size allows it to easily wall mounted or installed into pre-existing enclosures. MOSCAD-M RTUs offer multiple communication options including: two-way conventional or trunked radio, Multiple Address System (MAS) and spread spectrum radio, leased line and dial-up modems, and 10/100Base-T Ethernet. Built-in I/O ports provide protected connectivity to a range of intelligent sensors as well as discrete digital and analog sensors and control solutions. Connectivity via RS-232 and RS-485 ports is also available. Typical applications include remote monitory and control of valves and pumps, monitory of tank levels, pipeline pressure, cathodic protection, rain and flood, environmental pollution, chemical spill, radioactive radiation and more.